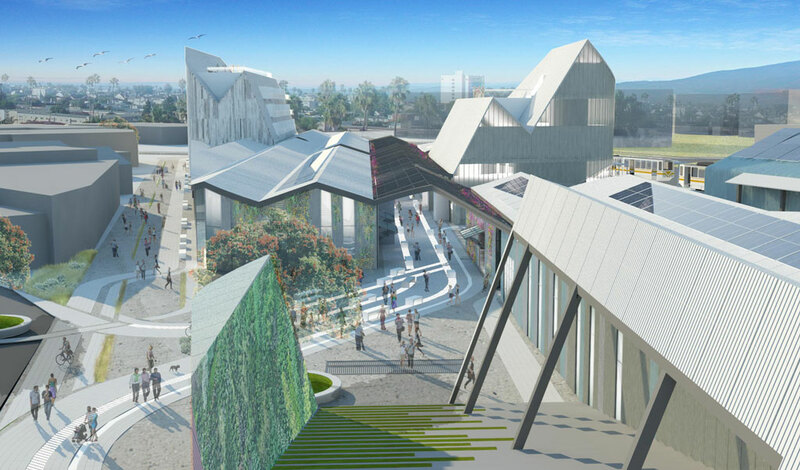 The extension of rail service to Santa Monica created an opportunity to re-imagine Bergamot Station, a former freight yard that was transformed into an Arts Center in the 1990s. Our design honors the entirety of the site’s history by creating a cohesive array of new warehouse buildings and key open spaces around the existing structures to establish an international platform for art and culture. 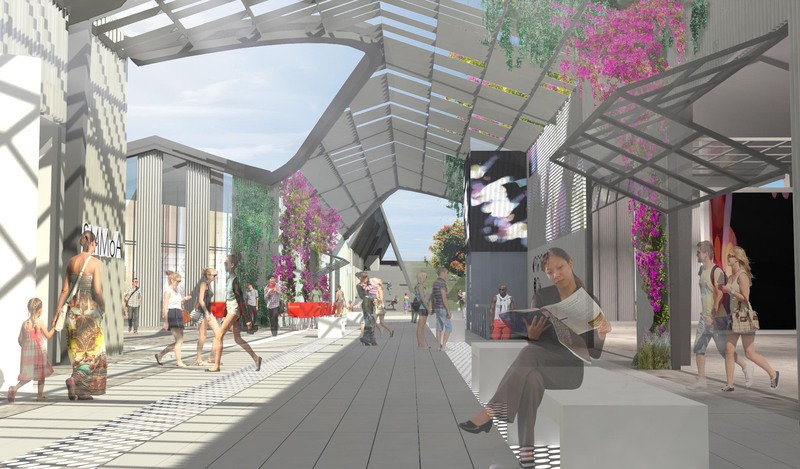 The design of this arts and hospitality district takes inspiration from the vernacular of traditional train stations, extrapolating the industrial form across a serrated sculptural canopy covering public spaces. 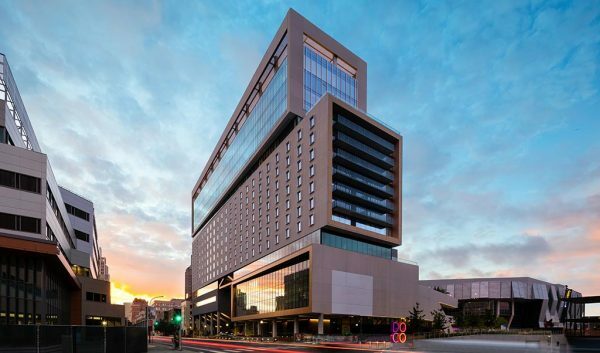 A new hotel and museum emerge from the low roofline, like wings of a bird taking flight. 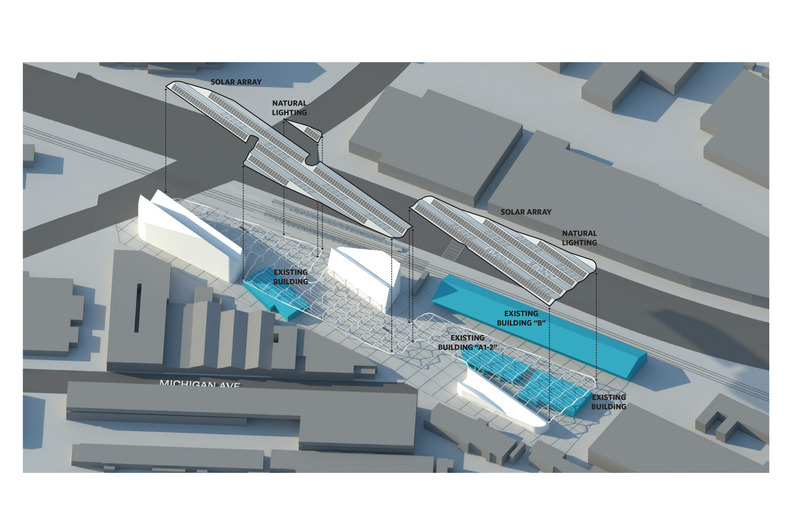 The concept takes inspiration from traditional train stations, evoking the drama of arriving at a cultural destination. To welcome passengers from the Expo line platform, we oriented construction on a diagonal to make way for a grand entry reminiscent of great train stations of centuries past. 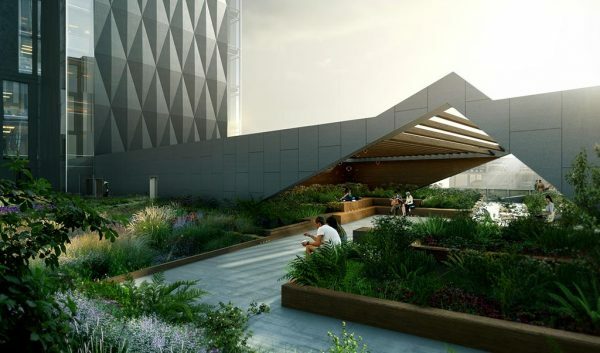 This Garden Concourse creates a dramatic trellis-covered central corridor whose airy aesthetic provides a meeting ground for visitors and vendors. 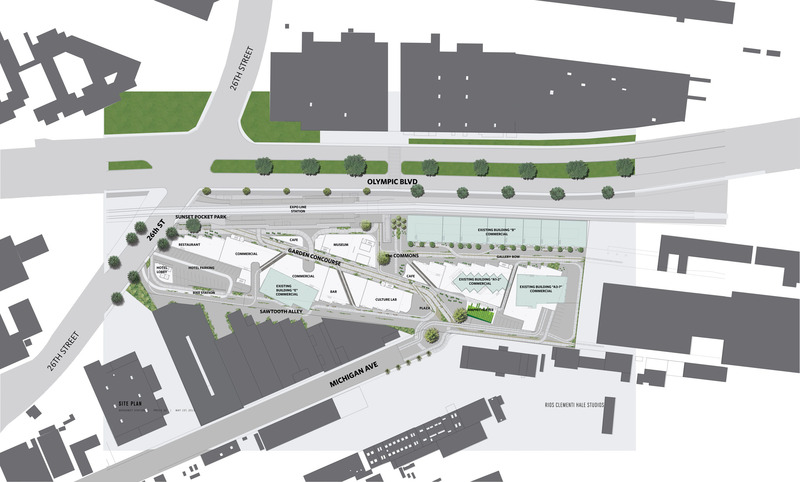 Several other access points flow into the Garden Concourse, including Bergamot Commons, a tree-lined plaza opposite a mid-block crosswalk at Olympic Blvd, where most pedestrians enter the site, and a new 200-seat Amphitheater Plaza, an outdoor performance space for the community. 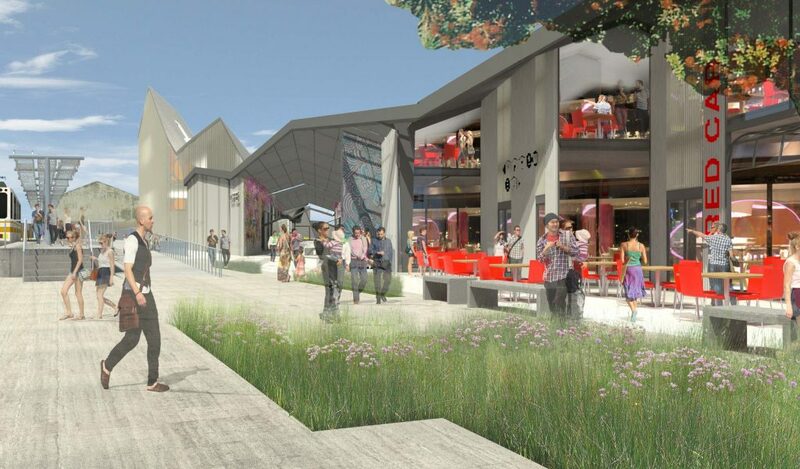 The plan retains the site’s industrial vernacular, while dramatically increasing the available space for existing arts organizations and new types of tenants. Most buildings remain consistent with the complex’s low-slung nature, providing ground floor entries off the new public spaces. The only exceptions are a new hotel and museum, which emerge from the low roofline like the wings of a bird taking flight. 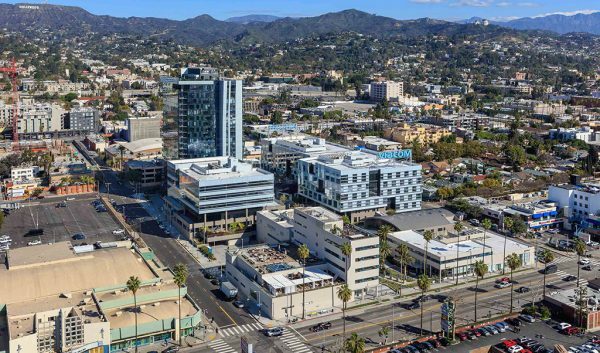 Both buildings offer amenities unprecedented on this site: roof decks with views of the Santa Monica Mountains and the Pacific. 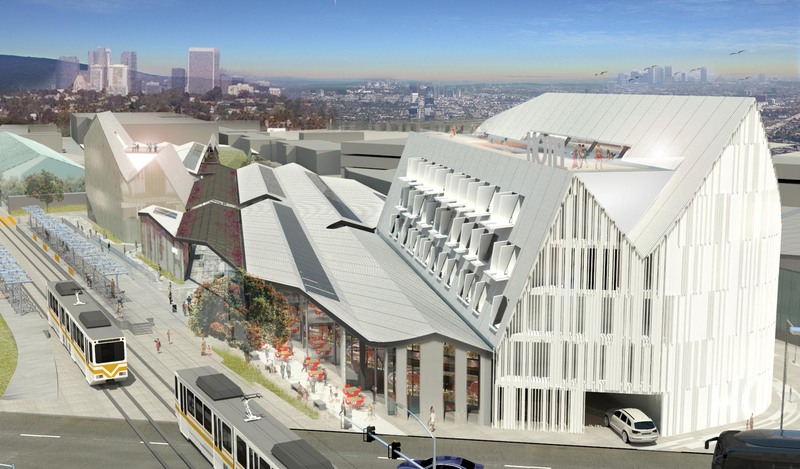 Solar panels, storm-water collection, and use of recycled building materials allowed Bergamot Station to target LEED Gold.